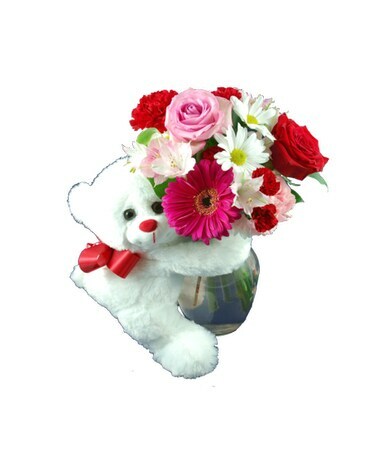 Fuzzy Love is our cuddly white teddy bear hugging a vase of pretty flowers. 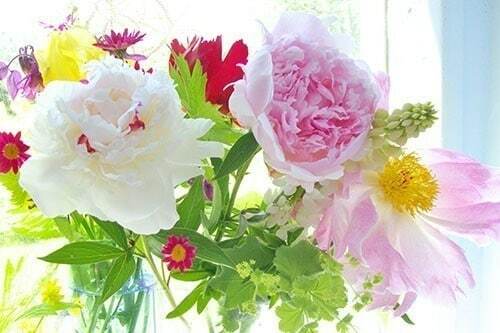 Roses, daisies, alstromerias, carnations and mini carns make a sweet flower arrangement that is long lasting . A perfect gift for someone sweet and special to you.